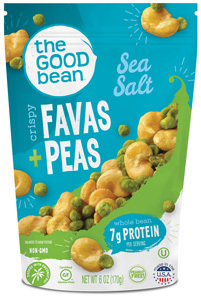 Fava beans are a Mediterrean bean with a great deal of protein and beneficial fiber. They are light and crispy, almost like a chip. We roast our favas gently with coconut oil and then mix in bright green peas and voila, a high-protein fun new mix is born.